In this classic narrative history of the construction of Glen Canyon Dam in the 1950s and 1960s, Russell Martin has captured the individual, cultural, political, and environmental dramas that brought into being the environmental movement we know today. Across the West, calls for the removal of hydroelectric dams constructed during the Bureau of Reclamation’s grand century of dam-building are being heard. Five decades after its construction, Glen Canyon Dam is still at the vortex of controversy, both because of its impact on ecological processes downstream and its drowning of natural landscapes behind its headwall. A Story That Stands Like A Dam presents a struggle as compelling and relevant today as it was when it began. Russell Martin directed and produced the award-winning documentary film Beautiful Faces, which received the Humanitarian Outstanding Achievement Award from the Accolade Global Film Awards, and he produced and cowrote the award-winning documentary film Two Spirits, which was featured on the PBS series “Independent Lens.” He is also the author of two novels and several works of nonfiction. "Thoroughly researched, well written, full of compelling subplots, and peopled with memorable characters. 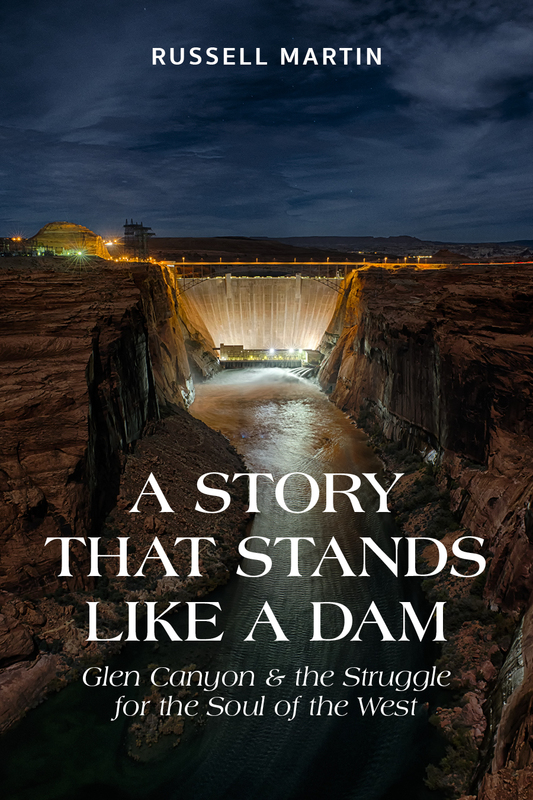 The story of Glen Canyon Dam is a tale of lost innocence. Russell Martin's book tells it wonderfully."